Israel's ambassador to the UN, Ron Prosor, fiercely attacks Syria and its ambassador during a speech to the General Assembly. Israel's ambassador to the United Nations, Ron Prosor, fiercely attacked Syria and the Syrian ambassador to the UN during a speech to the General Assembly on Friday. Prosor accused Syrian President Bashar Assad's ambassador of spreading lies and hiding the reality that takes place in Syria. “People are being slaughtered every day in the streets of Syria and in your speeches to the UN you are telling us fairy tales that are unrelated to what is happening on the ground,” added Prosor, saying that unlike the Syrian habit to blame Israel for everything bad, this time Assad's regime is also accusing other countries . “Everyone except the Syrian leadership is guilty of the massacre. The Security Council is paralyzed and the Syrian leadership is disconnected,” he said. Prosor concluded by directly addressing Syrian citizens and telling that Israel and the Jewish people identify with their suffering at this difficult time. “No matter what country you come from and what your political positions are, no one can remain indifferent to these atrocities,” he said, adding that Israel is extending its hand and offering humanitarian aid, food and medicine. 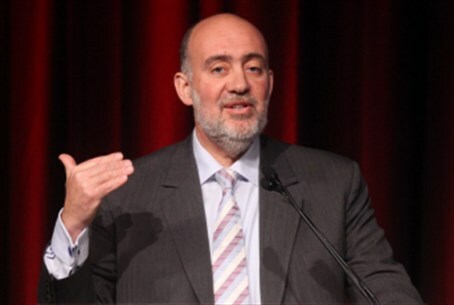 Prosor’s fiery speech came after the General Assembly overwhelmingly voted to condemn the Syrian government and demanded a political transition in Syria. The 193-nation assembly approved the Saudi-drafted resolution, which expressed “grave concern” at the escalation of violence in Syria, with 133 votes in favor, 12 against and 31 abstentions. Russia was among the 12 countries that opposed the resolution in the assembly, where no country has a veto but all decisions are non-binding. On Friday it was reported that Assad has transferred a battery of advanced missiles to the al-Masna border crossing, which is the central route used to transfer equipment and weapons to the Hizbullah terror group. The report cited members of the Syrian opposition who said that one of two major chemical arsenals of the Syrian regime is located near that border crossing. The distance between the weapons facility and the Lebanese border crossing is 68 kilometers, meaning that if a war breaks out between Hizbullah and Israel, the terror group will be able to transfer the chemical weapons and missiles to Lebanese territory in a time period of between one and two hours.